The Tillary Hotel offers more than 7,000 square feet of flexible indoor and outdoor spaces perfect for your event. 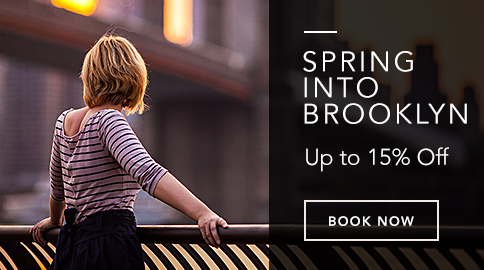 We are located just footsteps from the Manhattan Bridge in Downtown Brooklyn. With state-of-the-art A/V, valet parking service and, most importantly, 174 spacious, stylishly furnished guest rooms and suites to accommodate your guests. Our luxurious and unique venues are ideal for business conferences, weddings, bar and bat mitzvahs, engagement parties and corporate events. The Tillary's dedicated support team will assist you in creating a memorable and successful event. The Ballroom | 3,767 Sq. Ft. 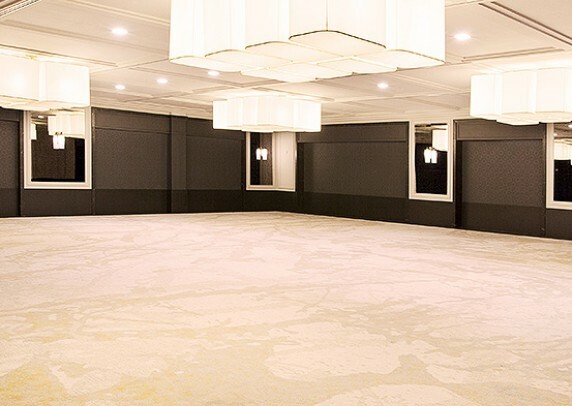 The brand-new Tillary Brooklyn Ballroom is a sophisticated event venue featuring an open layout and a large pre-function space. Accommodating up to 250 guests for seated events, our 3,767-square-foot ballroom can support many different configurations to your needs. It also features a spacious coat check, warm specialty lighting and beautiful marble restrooms. The Beer Garden | 3,681 Sq. Ft.
Our versatile Tillary Beer Garden invites you to a casual, green-space area decorated with traditional oversized barrels, cheerful lighting, and wood-crafted tables. 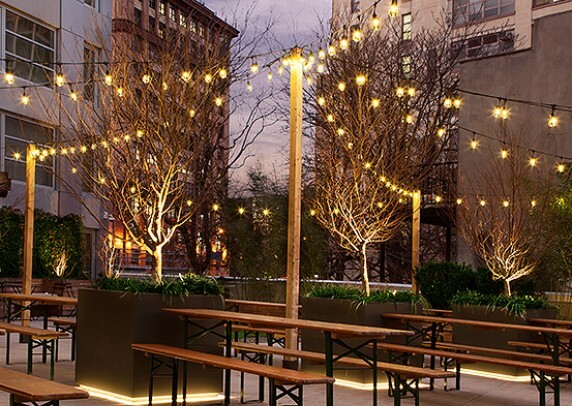 This unique event space in the heart of Brooklyn features a full service indoor bar with eight draft beers on tap and an expansive outdoor space that can be set up to your preference. A perfect venue for the trendiest events, it is the smartest choice to create a fun and relaxing atmosphere for your special occasion. Dimension Outdoor 3200 sq. ft.
Dimension Indoor Space 486 sq.ft.